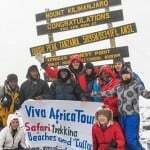 The first day on your incredible journey up the Northern slopes of Mount Kilimanjaro is filled with anticipation. You’ll receive a warm welcome at the airport by our driver who’ll take care of all your luggage and transportation to the hotel in Moshi. After settling down, you’ll come down for an orientation session with the Viva Africa Tours team. Our expert team leaders will guide you through all the important details of your route and offer advice for a successful trek. Your hiking gear will then be thoroughly inspected and adjusted if necessary. The rest of the day is spent getting ready for your life-changing journey. Wake up early and invigorated for the upcoming journey to the foot of the Northern Circuit Kilimanjaro route. After eating a hearty breakfast at the hotel, you’ll leave Moshi for the Londorossi Park Gate in the West. The 3-hour drive will take you off the beaten path for a remarkable cultural experience, traversing the fascinating townscapes of Boma N’gombe among the native people of Sanya Juu. After arriving at your destination, you’ll register with the Kilimanjaro National Park authorities while our team assembles all your gear and supplies. Meet and get to know the rest of your support team, including our friendly chefs. Our guides will then drive you further up the mountain to the starting point of your trek. On the first leg of your journey, you’ll move through untamed wilderness brimming with ancient and exotic botanical species. Black and White Colobus Monkey peer down from the lush rainforest canopy while you catch a glimpse of larger mammals like the elephant or buffalo. 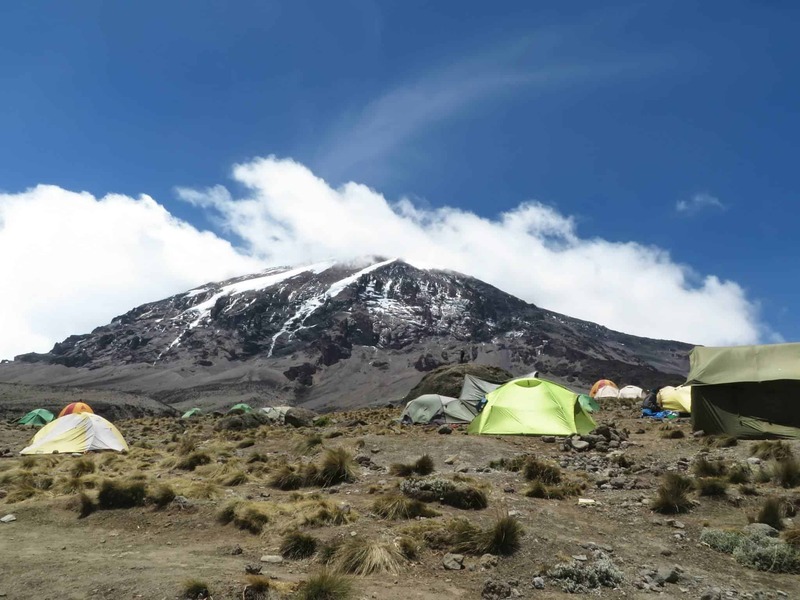 Your final destination for the day is the Mti Mkubwa Camp (2,750 m) where you’ll rest and recuperate. Wake up on the lower slopes of Mount Kilimanjaro to begin the longest and most spectacular day of trekking so far. You’ll pass through the last sections of rainforest before entering the majestic barren landscape of the Low Alpine moorland zone. Marvel at rare flora species, including enormous violet lobelias and wild vegetation. Venture across the massive Shira Plateau, the collapsed vestiges of an ancient volcanic crater. You’ll then cross over the Shira Ridge towards the slopes of Shira Camp 1 (3,600 m), where you’ll set up for the night. After devouring a hot steaming breakfast, you’ll continue your scenic trek across the exposed moorland zone. 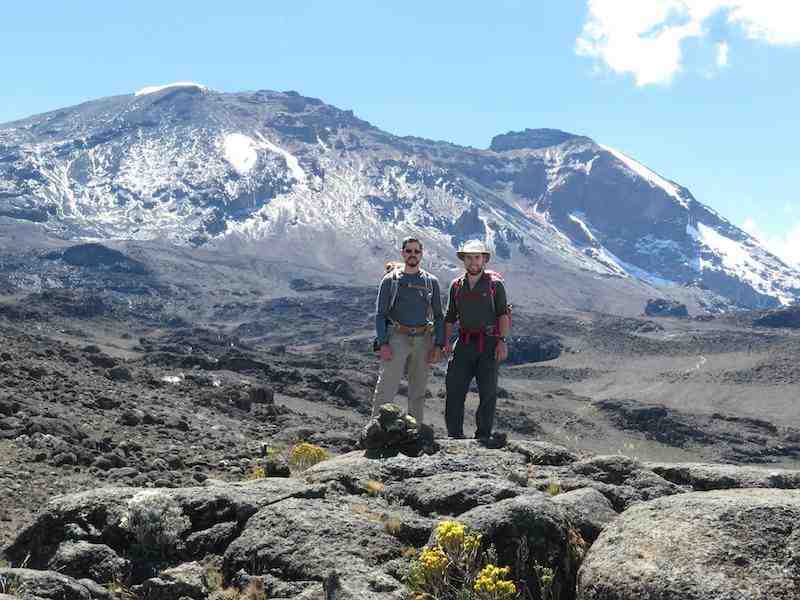 Few visitors have frequented this section of Kilimanjaro so you’ll get to fully experience its untouched beauty. Emerging from the Shira Plateau, you’ll be greeted by a truly stunning view of the peak of Kilimanjaro before reaching Shira Camp 2 (3,810 m). The rest of the day will involve free time to explore the spectacular surrounds, including the landmark Shira Cathedral, a grand buttress of rock surrounded by pinnacle and spire formations. Your guide will also lead brief excursions to aid each person’s acclimatization process. 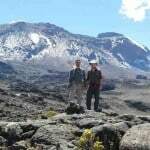 The fifth day of the Northern Circuit Route Kilimanjaro will take you east into the High Alpine desert zone. 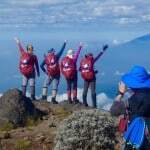 Here the Lemosho Route connects with the popular Machame Route before you leave for a more secluded trail. You’ll get to marvel at curious desert plant species and view the iconic Shark’s Tooth volcanic rock formation on the way to Lava Tower. This part of your journey involves gradual exposure to much higher altitudes, consolidating your acclimatization process. The end of the day sees you heading towards the Moir Camp (4,200 m), situated behind the magnificent Lent Hills. There you’ll put up your feet up and enjoy a steaming hot meal. 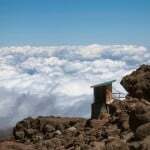 Wake up to the refreshing mountain air in the high altitude Kilimanjaro slopes. You’ll have breakfast, gather your gear, and climb out of the Moir Valley. A short detour sees you reach the summit of Lent Hills to admire the views before rejoining the Northern Circuit trail. Journey along rolling terrain that incline and decline, taking you around the northern slopes of Kibo before reaching Buffalo Camp. Set up for the night at a stunning campsite with the spacious Kenyan plains stretching out below you. Your Kilimanjaro Northern Circuit adventure continues with a revitalizing morning climbing up to the top of ‘Buffalo Ridge’. After stopping for lunch, you’ll continue eastwards through High and Low Alpine scenery passing increasingly sparse and rare vegetation. The day’s journey ends after circumventing the northern slopes to reach the Rongai Third Cave Camp. 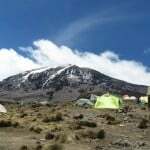 By this stage of the trek, you’ll be fully acclimatized to the high altitude. 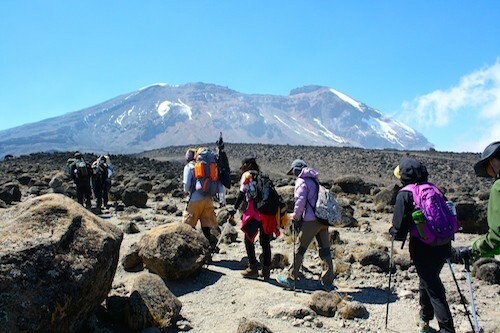 This is the final leg of the trip before your last ascent up to the peak of Mount Kilimanjaro. 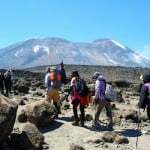 The highlight of the day will be the trek up and over The Saddle, a lunar landscape that lies between the Kibo and Mawenzi Peaks. 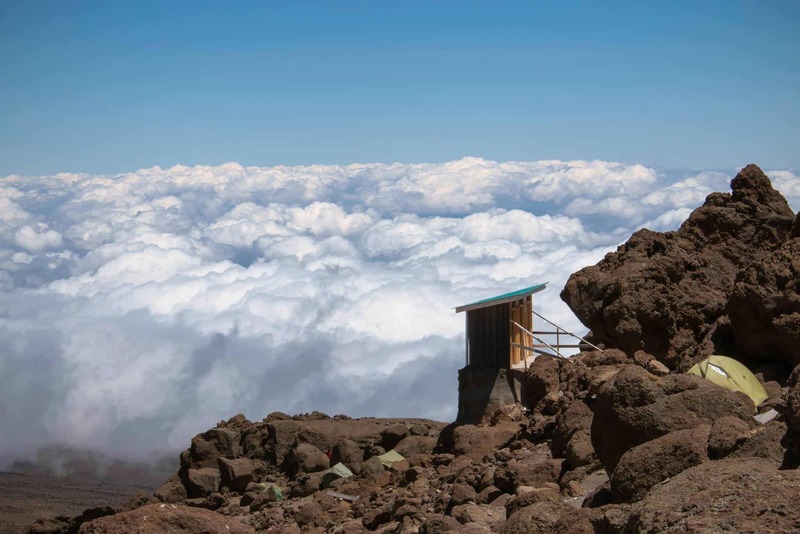 You’ll then head southwest to School Hut (4,800 m) to rest in preparation for the end of your amazing journey. Your guides will thoroughly check all your gear and supplies in preparation for an early morning start. Your last morning on the Mount Kilimanjaro Northern Circuit will get off to an early start. 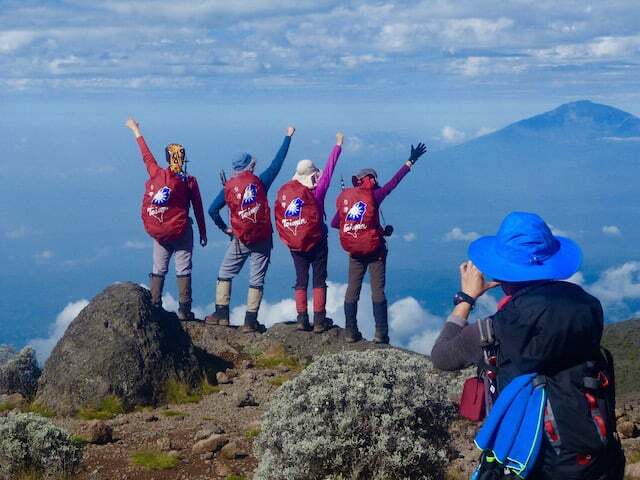 You and your guides will travel through the darkness towards Kilimanjaro’s main crater rim at Gilman’s Point. There you’ll rest before the final push, passing spectacular ice cliffs and glaciers. You’ll arrive at the Mount Kilimanjaro summit just in time to catch the sunrise, the most spectacular of nature’s backdrops. Share the sense of exhilaration and accomplishment with your guides and support team. Soak in the beauty of the view before retracing your steps down the crater rim. Then you’ll descend on the Mweka Route towards the last stop on your journey – Mweka Camp. The last hike is a short one and will lead us to Mweka Gate. 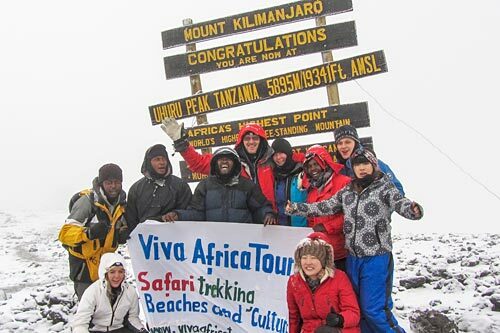 Your Viva Africa Tours team will proudly issue you with a Gold Summit Certificate and celebrate. Our drivers will be in the nearby village to transport you to the hotel for a hot shower, soft mattress and set of clean clothes. Today our driver will transfer you to the airport from where you will connect your flight back home. If you’ve chosen to continue on a safari – well, that’s a different adventure and we’ll take care of that for you!